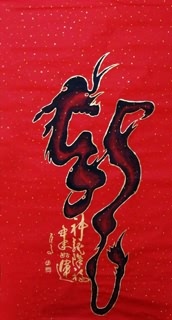 Dargon, in Chinese culture, holds an important position. 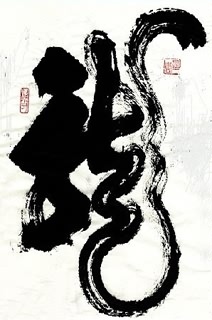 Chinese dragon shows the Oriental mysticism in the shape of complicated and variable designs, involving four perceptions Chinese people value highly: the relationship between humanity and the cosmos (天人相应); an obligation of altruism and humaneness for other individuals within a community (仁者爱人); the interaction of the two complementary opposites gives birth to things; openness to multi-culture. 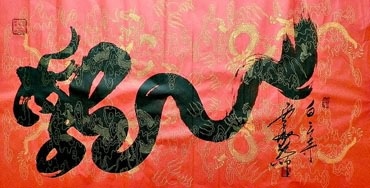 Dragon is an emblem of Chinese nation, a cultural symbol rich in meaning as well. 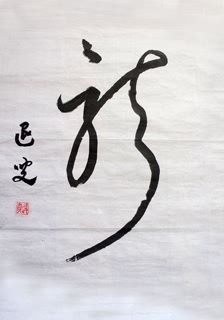 Among various designs of Chinese dragon, the concise Han character "龍" embodies the accumulation of Chinese spirit best. 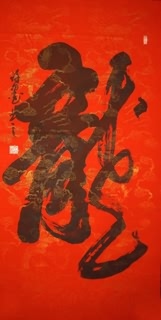 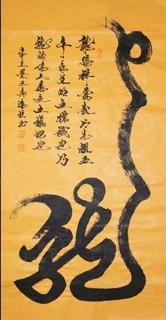 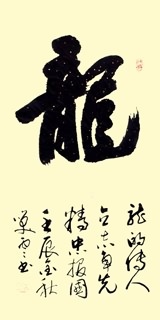 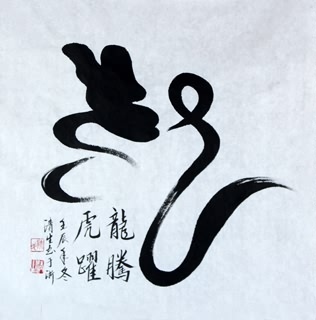 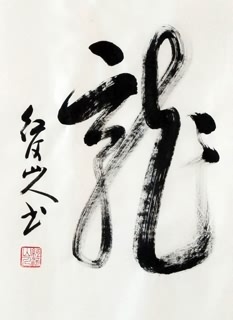 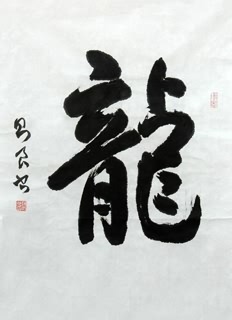 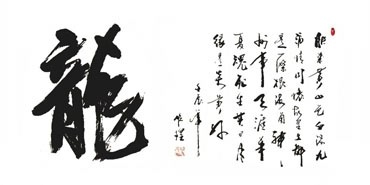 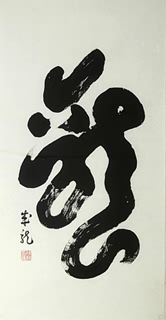 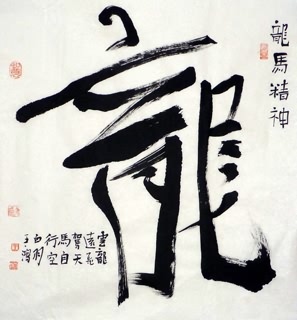 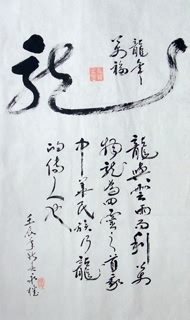 In calligraphy, the inanimate Han character "龍" is endowed with life and spirit, for calligraphy reveals much more implications of "龍" as an unique art and the soul of Chinese nation.